Programming as a profession is on the boom and this industry is creating new jobs for millions of people across the world. Along with the classroom training, programming blogs plays a crucial role in the learning process. This post is about the top programming blogs in the world. Programming blogs help you to keep yourself updated about the latest developments in the programming world. Usually, each blog author sticks to topics that he or she is the most familiar with. One blogger could write only about node.js, another only about web development, another one only about shell scripting. When you reach a certain programming expertise such blogs are essential for your career development. Another major benefit is that all blogs are usually free and so you won’t have to think about the budget. We have compiled a list of the best programming blogs in the world by the quality they provide, the variation they have, number of followers they have and tweet they get. 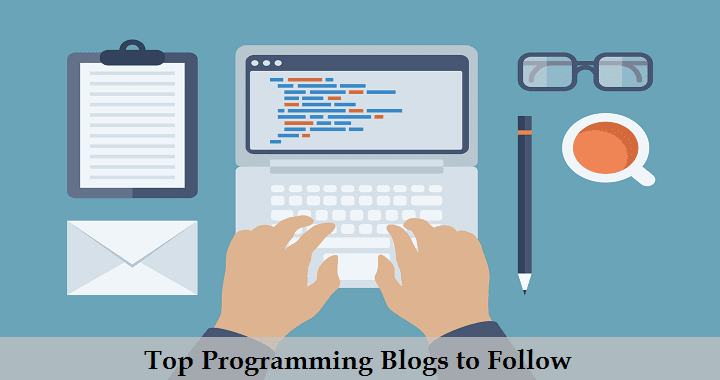 Based on all these factors, here are the top programming blogs that will help you to keep yourself updated with the programming languages, debugging software bugs, development tips & tricks, and web design skills. Catonmat is one of the oldest programming blogs that follow good coders code, great coders reuse theme. Started by Peter Krumins, this blog mainly deals with topics like programming, hacking, software reuse, software ideas, computer security, Browserling, Google, and other software techs. It doesn’t focus on one particular topic but talks about many different things and that’s very interesting. Catonmat is 10 years old and it shares tutorials with examples, open source code, and case studies. The most popular blog post is about building Reddit Media website and it includes the source code of the project. This blog receives around 150k unique visitors every month, making it top most visited programming blog in the world. David’s blog mainly focuses on modern web design and development tutorials. Topics like React, Node.js, Angular, Underscore.js and other new technology. This blog contains many demos and most of the demos have source code available. Each blog post starts with a goal and at the end of the post, you can get results. David’s blog receives about a million visitors a monthly basis. Erik’s blog is a relatively new blog but it’s popular because of Luigi open-source Python library that he created, that helps you build complex pipelines of batch jobs. Erik currently works at a Better and has worked at Shoptify and other companies in the past. Coding Horror blog is the grand-daddy of all programming blogs. The oldest dinosaur in the room. You can’t make a top 5 blog list without it. Written by Jeff Atwood, creator of Stack Overflow and a prolific C# programmer. Coding Horror focuses on personal opinions of Jeff and his own research about various programming, management, and productivity topics. HDFS Tutorial Blog is mainly focusing on the big data technologies which are currently the hot cake on the market. Although this blog is comparatively new but growing rapidly in the data field. You can find tutorials, blog posts, and tips, tricks and examples related to big data technologies, such as Hadoop, Hive, HDFS, Pig, HBase and BI tools like Tableau. If you are looking for a place where you can start with the Hadoop, HDFS Tutorial Blog can be the best place to do so. All the tutorials are completely free, and you can also ask questions related to your doubt. They also provide one paid book named Sqoop Playbook which has received some great response in the programming community. These were some of the top programming blogs in the world. If you want to keep your knowledge up to date and learn new stuff every day, these programming blogs will help you a lot. If you know any other programming blogs, which you think needs to be mentioned here, please comment. I am not saying these are the only blogs which deserve the top positions instead I have personally gone through many programming blogs and found these deserving.